Whether you’re already a developer or keen to become one, there are many reasons to learn Python in 2019. You may have heard that Python is one of the fastest-growing popular programming languages of the year. It’s also a common language used in web development and software engineering. But what are some other reasons to learn Python? Here we list 10 benefits of this highly-versatile and in-demand language. Python is one of the easiest languages to learn. Responses to questions about Python on Software Engineering Stack Exchange, a Q&A answer site, indicate that it’s one of the first languages newbie developers should learn, because it’s simple to read. In fact, it reads similarly to English, which means it removes a lot of syntax-learning stress from coding beginners. Python handles the complexity for you. The TIOBE index looks at the popularity of various programming languages. This is determined by looking at variables such as the following: number of skilled engineers in that languages, courses offered and which third party vendors make use of the language. Guess the programming languages of 2018? Yep, it’s Python, which, according to the TIOBE index, was awarded the title of “programming language of the year”, because it gained the most points compared to other languages last year. In fact, it’s now the most commonly taught programming language in US schools. It’s a one-stop shop: there’s a Python framework for most things, including web apps and data analysis. Noteworthy applications built with Python include Pinterest and Instagram. There are also multiple open-source libraries and modules for Python to make application development really simple. According to Daxx, the average Python developer salary in the US is $116,379, which makes them the best paid software engineers. If you’re interested in entering the lucrative field of data science, you should learn Python. Why is Python used so widely in data science? One important reason is that powerful statistical and numerical packages exist in Python for data analysis (such as PyBrain, NumPy and MySQL). Anyone comfortable with the Python programming language can use it as a tool to organize, process, and visualize data. You’ve almost definitely heard of Machine Learning (ML). Basically, ML brings together computers and statistics to build algorithms that allow computers to learn new tasks. There are Python modules – like Scikit-learn, Tensorflow, and Theano – which support ML, so you can do cool things like spam detection and fingerprint identification. Python is one of the top four languages for building IoT, or Internet of Things, solutions. IoT is really about connecting things – such as coffee makers, washing machines, lamps, etc. – to one another via the Internet, explains Forbes. Most things that have ‘on’ and ‘off’ switches can be part of IoT. When you’re learning a new language, a thriving online community is a genuine advantage to help you out when you get stuck. The Python community has its own huge online resource at Python.org. You can receive free weekly emails, download a variety of resources or chat via IRC (Internet Relay Chat). Python appears to be the fastest-growing language, particularly in high-income countries such as the US, UK, Germany and Canada. 17% of job postings, according to Indeed’s 2018 study, were for Python developers. 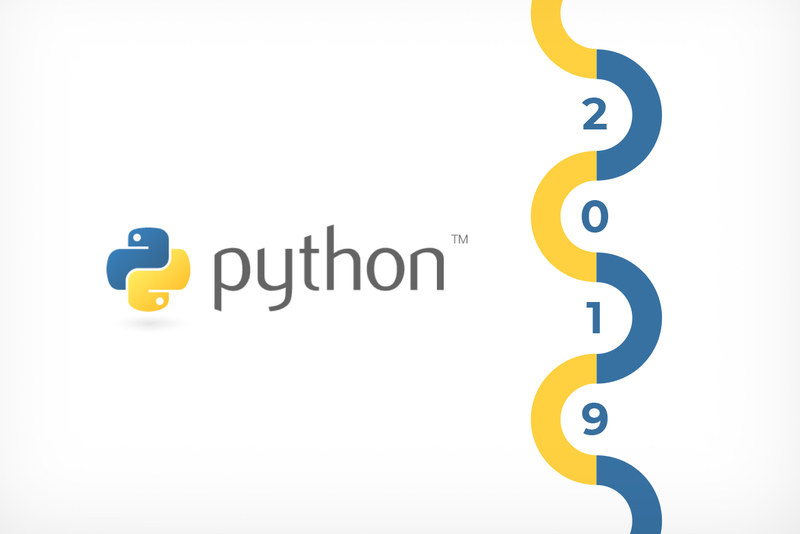 From excellent salaries to the versatility of this language, we’ve listed 10 reasons to learn Python in 2019. If you’re keen to learn Python via an online course which includes your own personal mentor, consider HyperionDev’s Data Science or Software Engineering course – they both include Python. You can also trial one of these courses for free.